The Repaglinide tablets are designed to be used in patients that have been diagnosed with type 2 diabetes. These individuals do not need insulin injections to control their glucose levels. The Repaglinide works by assisting the pancreas in producing more insulin than previous. It regulates the blood sugar levels by increasing the natural insulin for maximum performance. This kind of medication may be taken alone or with other oral diabetic medicines. An individual must follow all doctor’s guidelines and directions when this medication is prescribed. Do not mix medicines unless approved by the physician. Typically, the Repaglinide tablets are taken between 30 minutes to right before a meal. The dose that is recommended by the doctor should be followed. At first, a person may have a smaller dose to allow the body to become use to it. The physician may up the dosage that is more suitable for the individual’s lifestyle. Before an individual begins the Repaglinide tablet treatment, they may need some useful information. A person’s doctor will explain everything for how to take the medication to any side effects it may cause. Always follow the physician’s instructions. An individual must address questions or concerns before they begin this regiment. The patient must understand what needs to be done in case of an emergency. 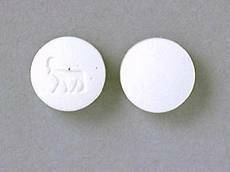 Other medications may interact with the Repaglinide tablets. Be sure to explain to the physician if any other medication is being consumed. Even over-the-counter pills can cause diverse effects. The doctor may need to prescribe other forms of diabetic pills or lower the dose. Past allergic reactions are important for the doctor to understand. Even though, an allergic reaction to the Repaglinide tablets is rare as well as unlikely, it is vital to explain this to the doctor. This medication does not mix well with alcohol. Avoid these kinds of beverages when at all possible. The Repaglinide tablets are designed to assist in the body’s glucose levels. It is not a substitute for proper exercise and diet. It is vital to stick with the regiment that was provided by the doctor or nutritionist. Pregnancy as well as nursing may affect this medication. A mother-to-be should explain their situation to the physician for advice and options. Problems with the kidneys or liver can be a cause for alarm. The medical history of the patient must be in the doctor’s hands. This will allow a physician to prescribe the dose accordingly. Testing blood sugar often is the key to a healthy body. When glucose levels rise rapidly or fall to extremes, long-lasting affects may occur. To make absolutely sure that the Repaglinide tablets are working correctly, this step needs to be completed several times a day. Side effects are present in all medication. However, most of the common symptoms should be relieved after a few weeks. The body takes time to get use to diabetic medications. If the symptoms do not diminish or linger for more than a few weeks, seek medical attention. An individual may be experiencing unusual symptoms. When this is the case and they are severe, seek a professional right away. The most common side effects of Repaglinide tablets are headaches, back or joint discomfort, mild stomach problems and cold like symptoms. This medication can cause the blood sugar to drop rapidly. If an individual tests their glucose levels and find them dangerously low, eat a hard piece of candy or other instant sugar. Wait 30 minutes and test again. If the levels are still incredibly low, seek medical care immediately. High blood sugar may happen if the medication is not working properly or the diet regiment is lacking. The symptoms of this could be thirst, fatigue or weakness. Contact a physician right way to find out what needs to be done.